Goes perfectly with a luxurious and daring lifestyle. Go for it! 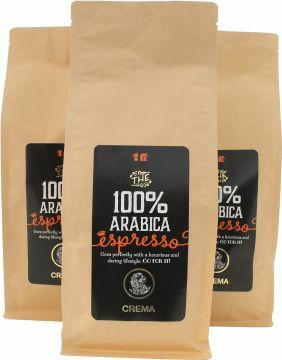 Our new Crema Espresso 100 % Arabica is a round and full-bodied espresso coffee. 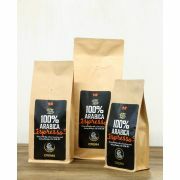 Like the name suggests, it is a blend of finest Arabica coffees. 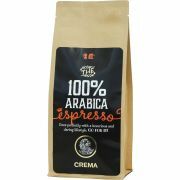 Even though the coffee is a 100 % Arabica blend without Robusta, the coffee is still strong and full of flavour, containing almost no acidity. 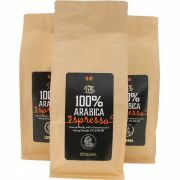 It is a very pleasant espresso coffee that can also be enjoyed with milk. 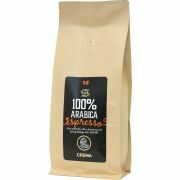 Crema Espresso 100 % Arabica is available as whole beans and you can also choose your preferred grinding for ground coffee. Four package sizes: 250 g, 500 g, 1 kg and 3 kg. 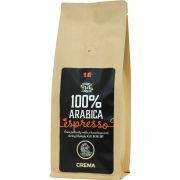 PS If you prefer a stronger espresso coffee experience, also try our Crema Espresso!